I don’t like Halloween; I love it! Any holiday that focuses on free candy is right up my alley. In our neighborhood, the kids like to leave little notes and fun surprises in each other’s mailboxes, so kiddo and I came up with a cute little treat for her friends. 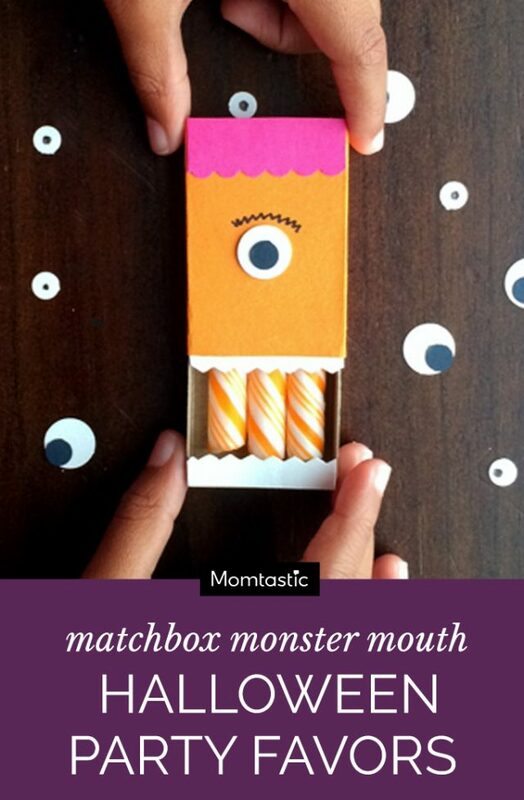 These DIY matchbox monster mouth favors are inexpensive, quick, and simple. 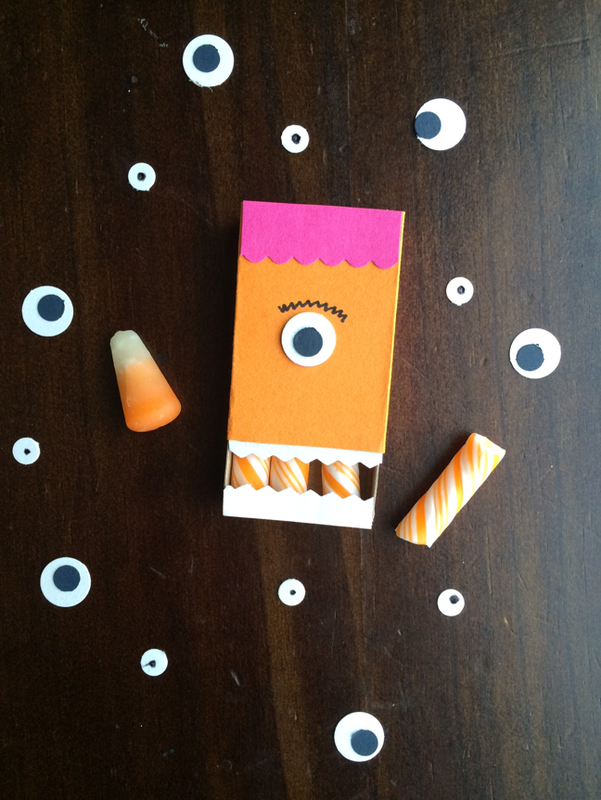 These little boxes are perfect for a pint-sized, guilt-free sugarfest, and any kid would love to receive this spooky delivery. Step 1: Measure and cut scrapbook paper to cover the matchbox lid. Tightly wrap the paper around the lid, and pinch the paper together at each lid’s edge to create a subtle fold guide. Remove the paper, and create a crisp crease using a straightedge or bone folder. 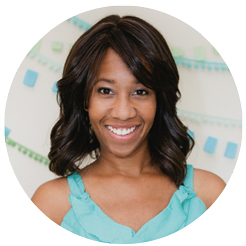 Step 2: Using the zigzag or scallop craft scissors, cut a narrow strip of white scrapbook paper for your monster’s teeth. Position them underneath the strip of paper that will wrap around the box lid, and adhere with glue. Glue a match strip onto the bottom edge of the interior box to create the lower jaw. Set aside to dry. Step 3: Punch out 1″ circles from the same white card stock for the monster’s eyes, and smaller black circles for the pupils. Glue each into position. Using a black marker, draw zany eyebrows, small pupils, and other facial details. Set aside to dry. 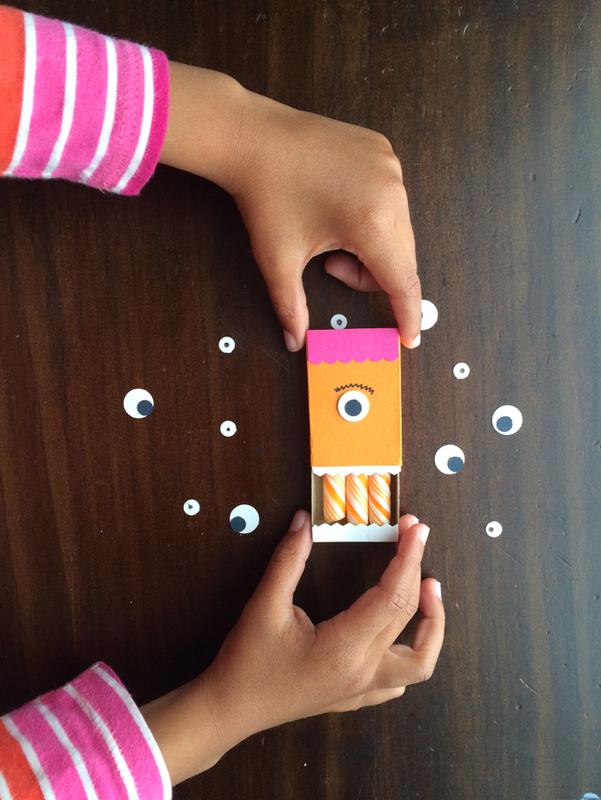 Step 4: Wrap the completed monster face around the matchbox lid, and secure in the back with glue. Set aside to dry. 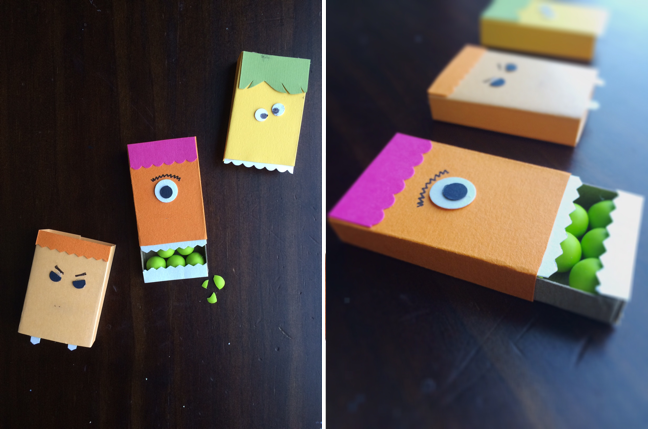 Step 4: Insert small candies into the matchbox, and slide it into the lid.